Below are iBooks that have been created by students of the Newfoundland and Labrador English School District. Not only are these entertaining, they are educational and can be used by students the world over for learning. These books are available for download with iBooks on your Mac or iOS device. 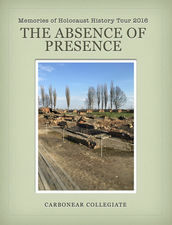 You can view more details on these books by clicking the "View on iTunes" link in each listing. Multi-touch books can be read with iBooks on your Mac or iOS device. Books with interactive features may work best on an iOS device. iBooks on your Mac requires OS X 10.9 or later. Please note, these books will not fully function as designed if you are viewing them on a PC. Memories and photos from Carbonear Collegiate students who traveled to Berlin, Prague and Kraków during Easter 2016. The trip began with an introduction to the Holocaust in the classroom and ended with a workshop in Kraków about responsibility of the Holocaust at the Galicia Center. Des souvenirs du voyage des élèves de Carbonear Collegiate pendant le pâques 2016. Le voyage a commencé par une introduction à l'Holocauste dans la salle de classe et est terminée avec un atelier à Cracovie sur la responsabilité de l'Holocauste au Centre Galice. Plein des photos des participants et des mémoires. Angleball was created during World War 2 by College Hall of Fame football and basketball coach, Rip Engle, as an awesome way to keep American service men and women fit and ready for battle. 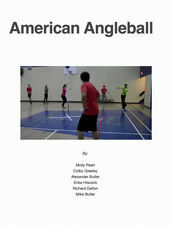 Today American Angleball is used for fun and fitness by schools, camps, and all age and gender groups across the US, Canada, India, Africa & Asia. American Angleball is an ultra safe, full body aerobic and anaerobic fitness workout. It is perfect for mixed gender, ability and age groups. 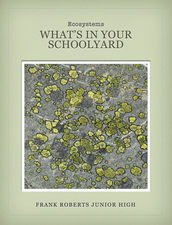 The purpose of this book is to provide a different approach to the first Core lab in the Interactions Within Ecosystems unit of the Grade 7 Science Curriculum offered by the Newfoundland and Labrador English School District. 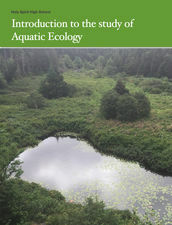 This book is a resource for the study of Aquatic Ecology at Holy Spirit High School. Cet eBook était écrit pour et par les étudiants d'immersion française en 2e année, le livre est basé sur la première unité de science du curriculum de Terre-Neuve et Labrador, "La croissance et les changements des animaux." Ce livre a beaucoup de photos et le texte réduit pour assister dans l'enseignement de l'unité au début de l'année scolaire. The best educational experience occurs when students make personal connections with the curriculum. 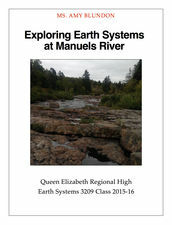 That is what the Manuels River Hibernia Interpretation Centre provided for students at Queen Elizabeth. Ms. Blundon presented unit 2 of the Earth Systems 3209 curriculum on Historical Geology, then students experienced it first hand in our own backyard. The purpose of this book is to help keep Newfoundland Traditional Dance alive. It was developed with all of my students in Grade Six during class time while some other parts served as an enrichment for those students interested in the technical part of developing a digital book. 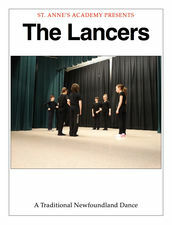 We hope others will use it to help them learn how to perform a traditional Newfoundland dance called, "The Lancers". I know I will reuse this electronic book as a visual aid in my music classroom throughout the rest of my teaching career to explain how to dance "The Lancers". This book represents the work of our four Grade Six Classes for 2015-2016. 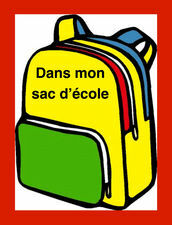 We have one English, two intensive core French and one French immersion class at our school. 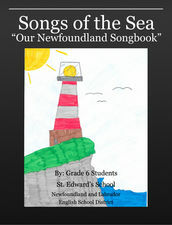 To meet curriculum outcomes in the domains of Creating and Performing each class was responsible for arranging two traditional Newfoundland songs for this book. The words and melodies of these songs are all public domain and these instrumental arrangements are the property of the students of St. Edward's School. The students really enjoyed creating these arrangements, performing them as ensembles, and collaborating with their classmates to create this book. 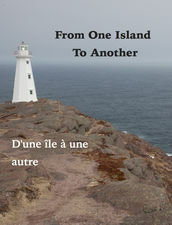 From One Island to Another/D'une île à une autre île is a bilingual interactive ebook created by St.Paul's Junior High Late French Immersion Homeroom 706 for the 2015-2016 school year. This project was inspired by the classes's foreign exchange student Laura and intended as a way to stay in contact with her upon her return to Brisbane, Australia. 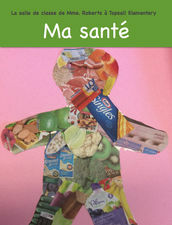 Ce livre était rédiger dans le cadre de notre programme de santé de deuxième année en concentrant sur la nutrition et l'activité physique. Les élèves ont participé à des activités pour apprendre les avantages de chaque groupe alimentaire, les différents aliments de chaque groupe alimentaire, et l'importance de manger des aliments sains. Les élèves ont aussi appris au sujet de l'importance pour leur corps de participer à des activités physique quotidiennes. 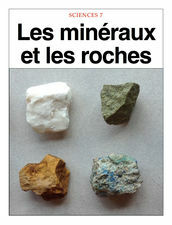 Ce livre de Sciences examine des roches et des minéraux pour des élèves à l'école intermédiaire en immersion française. Les élèves sont introduits au sujet avec l'aide des définitions, des images et de l'audio. 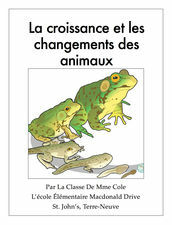 Toutes les images ont été prises par les élèves et l'audio a été enregistré par des élèves à l'école Villanova Junior High à Manuals, à Terre Neuve. This book was a project completed by grade 6 students at Villanova Junior High in Manuels, Newfoundland and Labrador, Canada. It contains classroom vocabulary for the french classroom depicted visually, orally, and in written form. 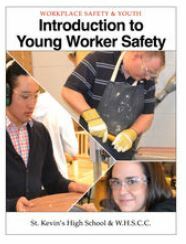 "Introduction to Young Worker Safety" introduces the basic concepts of workplace safety in an engaging and interactive manner. The interactive features include video, audio, photo galleries, quizzes, slideshows, word puzzles, and more. Created by youth for youth, this book should be a valuable resource for workers everywhere. 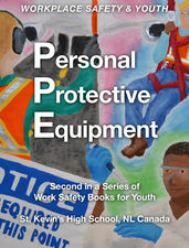 It is the first in a series of digital textbooks relating to workplace safety and youth. "Personal Protective Equipment" provides information on the purpose of PPE and relevant laws regarding it's use. It also focuses on recognizing workplace hazards and the proper use of PPE to keep workers safe. This book relays this information in an engaging and interactive manner. The interactive features include video, audio, photo galleries, quizzes, slideshows, word puzzles, and more. Featuring content created by youth for youth, this book should be a valuable resource for workers everywhere. Requirements: To view these books, you must have an iPad with iBooks 2 or later and iOS 5 or later, or an iPhone with iOS 8.4 or later, or a Mac with OS X 10.9 or later.